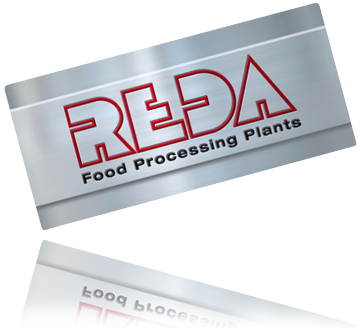 About us | Reda s.p.a.
REDA is a worldwide supplier of food processing equipment founded on top engineering and high level performance research. Our technologies are based on development of excellence values in terms of quality, performance and durability with one sole aim: represent the best solution for customer’s needs. In over thirty years we have developed the best process technologies for a wide range of liquid foods, including liquids with solids content or high viscosity products. We employ State-Of-The-Art technologies and control systems to guarantee the maximum efficiency and reliability of our products, from the smallest and simplest equipment up to the most complex complete production lines. Our team of engineers and product managers offer their in-depth knowledge and expertise in the food processing industry and will suggest, recommend and develop the right equipment and solution for your processing requirements. Our constant aim is to design process machines of excellent quality: we can provide individual equipment and machinery or develop customized turn-key solutions, always enabling a great deal of flexibility in production. In both cases all our plants optimize consumptions of energy, water and other natural resources, while maximizing production efficiency. And to overcome the test of time we entrust ourselves to a simple but fundamental concept: QUALITY.